Easter is nearly here! 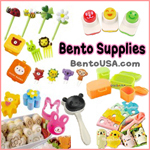 What better way to celebrate than with some fun bento lunches! 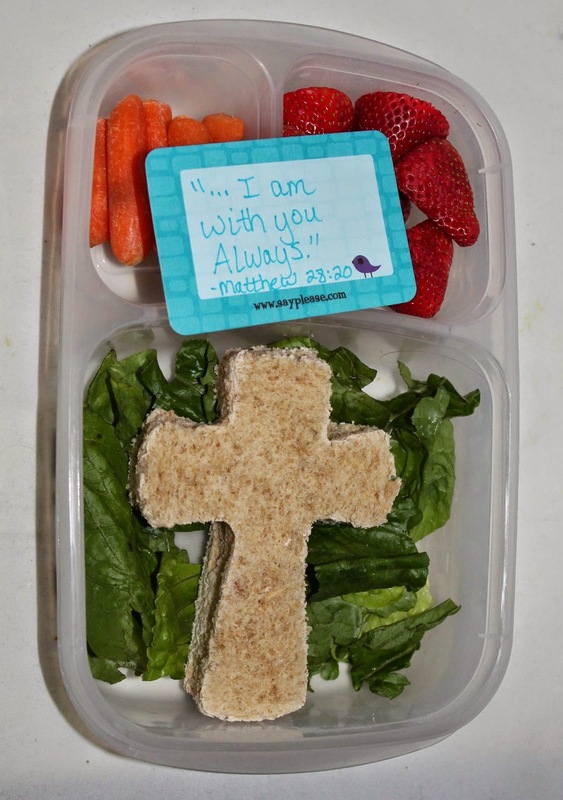 I was inspired by some bible verses and thought our Lunchbox Love notes would fit in perfectly to help with the lunches! 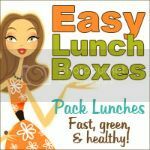 To make things simple I used the same ingredients to make 3 different lunches. 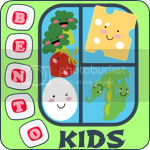 You don't need a lot in order to make a fun lunch for your little one. And if you're still looking for Easter presents for your family check out Family Christian they really do have something for everyone! 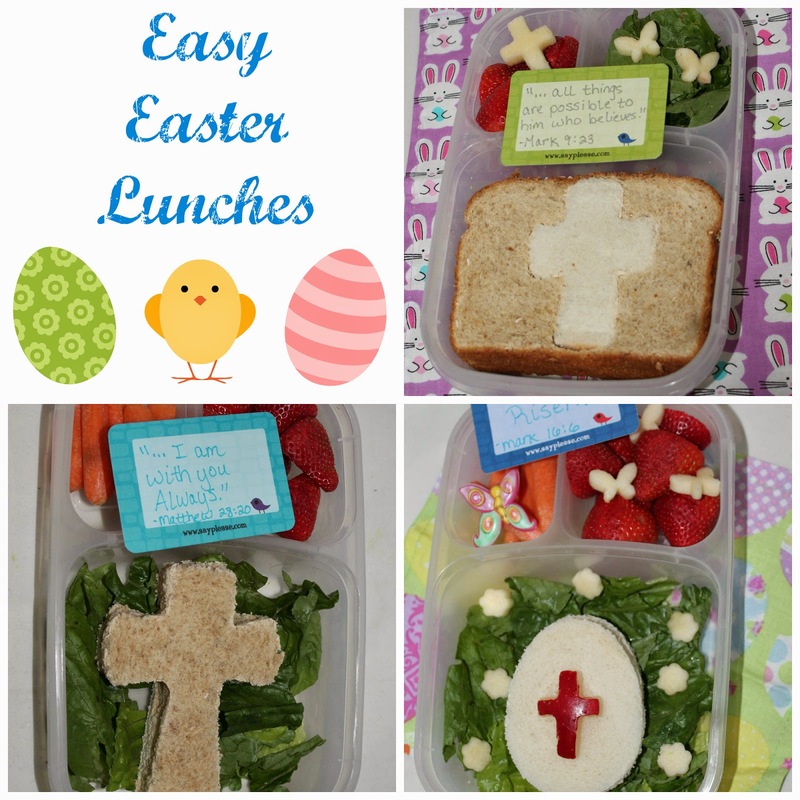 The first lunch says "I am with you always" which is a good reminder not just for Easter but for everyday! Jesus is always with us. 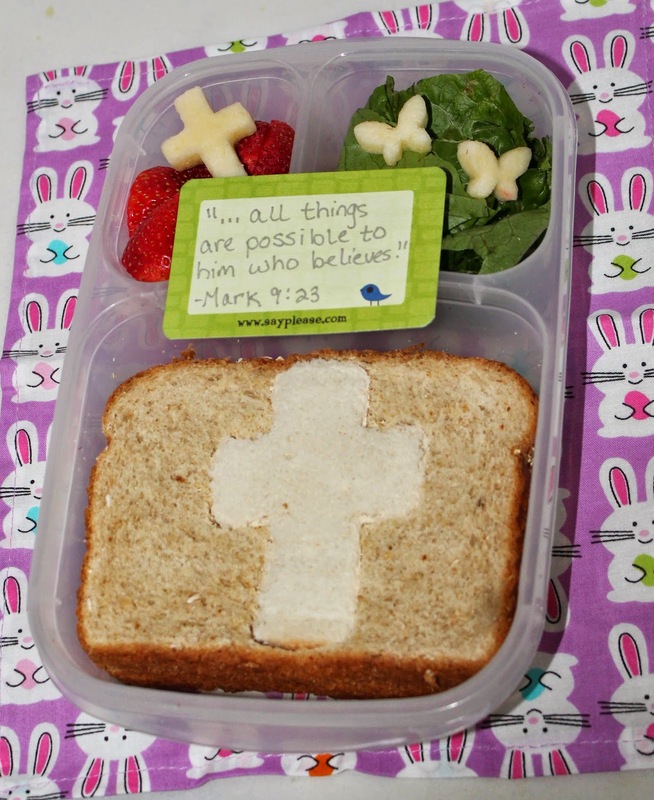 The lunches includes a green salad, peanut butter and jelly cross, carrots, and strawberries. Simple and delicious! 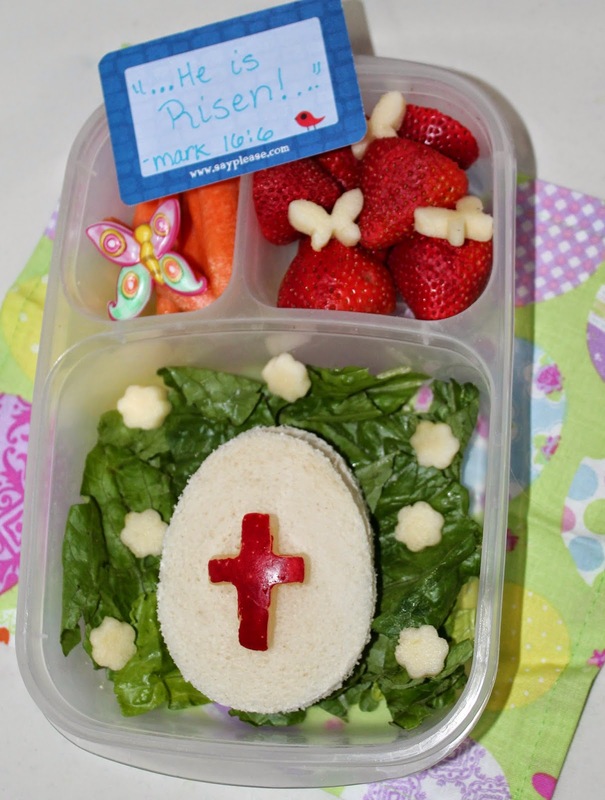 The second lunch is a peanut butter egg with a cross cut from an apple. This is to celebrate the fact that Jesus rose from the grave! 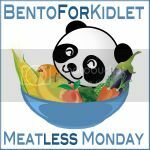 The last lunch is a simple cross inside another piece of bread. Simple to make. I think it goes nicely with the quote "All things are possible to him who believes."